National bestselling author Anne Bishop's novels have been hailed as "genuine gems" (SF Site) and "lavishly sensual" (Library Journal). 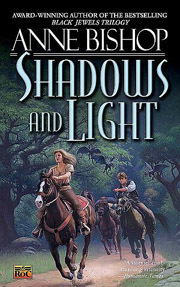 In her highly anticipated second book in the Tir Alainn Trilogy, she weaves a dazzling tale of romance, high adventure, and thrilling fantasy. Ever since the slaughter of the witches, the Fae--who should be shielding their long-lost cousins from danger--have ignored the needs of the rest of the world. And shadows are again gathering in the eastern villages--dark, potent shadows that threaten the lives of every witch, woman, and Fae. Only three Fae can stand against the growing madness and help prevent more bloodshed--the Bard, the Muse, and the Gatherer of Souls.